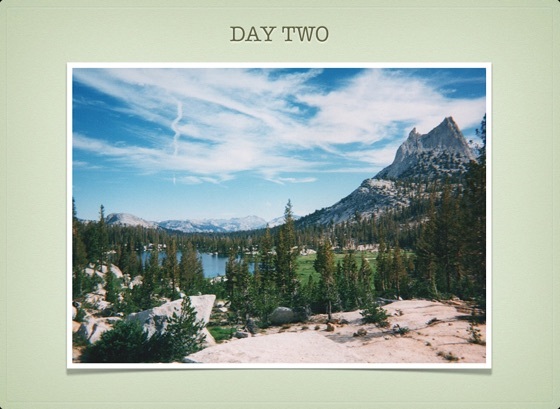 Experiences of a 14 day solo hike of the John Muir Trail, a 211 mile trail in the Sierra Nevada range in California. The story begins in Yosemite National Park and ends at the rocky summit of Mt. Whitney, the highest peak in the 48 states. Reading the book took me back to my trek on the JMT and makes my want to venture into areas I haven't been. It is also helpful to gain perspective on distances that can be covered. Overall a very easy and enjoyable read. 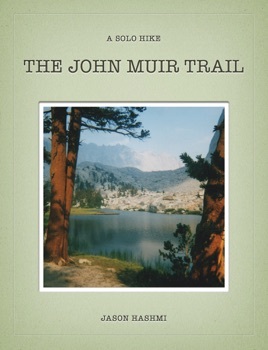 The last reviewer said this would be a great read for anyone heading out to hike the JMT!! Honestly, I thought it was an adventure that should be read be everyone who would want to share his journey just for the sake of going along for the ride. I couldn't stop reading Jason's fourteen day hike through areas I will only know through his wonderful descriptions. Thanks!! 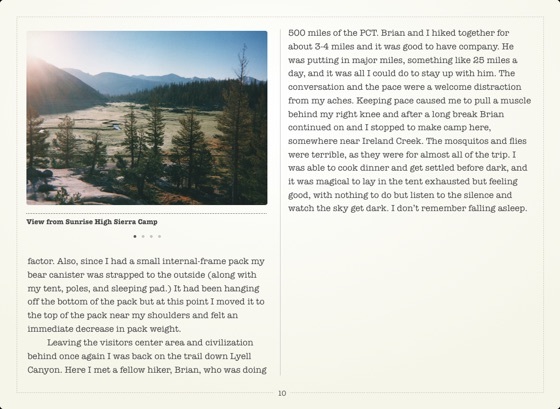 I spent an evening reading Jason's account of his JMT adventure and I have to say, it was one of the nicest things I have read in a while. It was put together beautifully with maps and images from his journey. I would highly reccomend this book to anybody planning on heading out onto the JMT. Nice work Jason.